Much revered, but too little known – I feel it’s time to place the spotlight on that late, great soul sister – Barbara Acklin! Her career and her albums to be profiled soon! 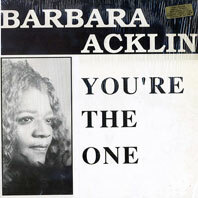 Acklin was a song writer and singer, whose golden decade was from around 1965 up to 1975 (the year of her last studio album), but she did make occasional singles up to the early 1990’s. 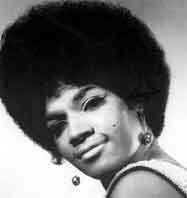 She may be best known for hit duet with Gene Chandler, “From The Teacher to The Preacher” and her own 1968 classic “Love Makes A Woman”, but her albums show a lot of different sides to this wonderful, and now sadly obscure, vocalist. She was a soulful singer, doing a wide range of material from middle of the road pop songs to dance tunes…. The Three Degrees – The best female group ever? 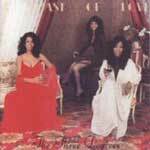 In many ways, the music of The Three Degrees plays like the soundtrack of my life! It’s like they’ve always been around, they always had hits, they always made some exciting new records, they always sounded fresh, soulful, dedicated and inventive – and they still do! If someone asked me to name my favourite song by this eternally fascinating group, I would be lost for words as there are too many to choose from. If someone asked to name my favourite girl group of all time, you’d get my answer in a split second! Now into their sixth decade, the girls show no signs of slowing down, they are still doing their thing and they have managed to keep the three essential ingredients intact; awesome singing, good songs and an exciting stage show! Since they started out in 1964, they have been through some personnell changes, but some of the members have stayed with the group for years. 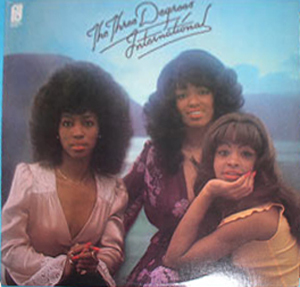 Despite the changing of personnel, the group basically maintained their flawless sound, while still adapting to whatever musical trends were happening at the moment… In my opinion, The Three Degrees are one of the most versatile female groups of all times and I guess that is why I will never get tired of listening to their music. 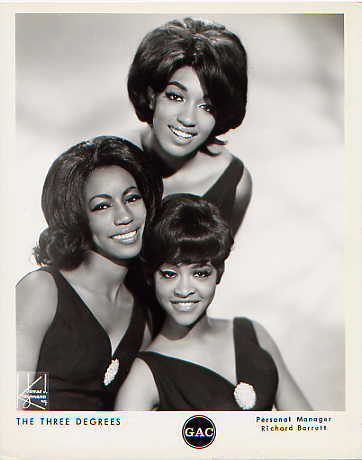 Back in 1964, the group was formed by three girls attending Overbrook Highschool: Fayette Pinkney, Linda Turner and Shirley Porter. They sang at dances and social functions during the weekends, and at one of those they were spotted by record producer Richard Barrett. Liking their sound, their stage presence and their good looks and charisma, Barrett soon had them in the studio recording their first single “Gee Baby, I’m sorry” which came out in late 1964. The B-side of the single was “Do what you’re supposed to do”, a title the girls obviously took to heart as they’ve never stopped doing exactly that! The name of the group always mirrored the fact that they were three singers, all with a different sound, and that they all could do solo work as well. Somehow Sheila seemed to have found her place as the group’s main focus point right away, but it’s not like she does all the lead singing during her tenure with the group. Much of the attention drawn to Sheila is based on two things; she is a totally awesome singer, with a voice that can convey every human emotion under the sun. Nothing cutesy & coy about her, she sings each lyric as if she had lived it herself! And of course, she is one of the most beautiful women in the world. Add them up, and you will have an attention-grabber of epic proportions! Even today, Sheila Ferguson remains a statuesque stunner, with looks and talent undiminished… That said, none of the other ladies come up short in the voice or looks departments either!! The Roulette Years 1970-73: Moving on to Roulette Records in 1970, the girls really established themselves as one of the worlds leading groups (as opposed to “just another girl group”), and their unique blend of soul, pop and R’n’B really fell into place. Even though they were on that label for just 2 years, it still gave them room to make some of their classic hits that to this day still are revered by soul fans all over the world! Their first Roulette single was “Maybe”, a song they had recorded on Swan in the 60’s, with a kind of samba rhythm! This time around, the song got a serious working over; placing Valerie Holiday as lead singer, she starts out with a spoken passage that sets the mood and you expect some heart crushing story to follow. Still you might not be prepared for what comes… Valerie tears into the song with one of the most soulful vocals ever recorded, and the tracks stands as the rawest, most unpolished song the group ever did, as Valerie delivers the lyrics in a style closer to Lorraine Ellison than anything The Three Degrees had done up to that point! It turned into a big hit and won the group a lot of new fans. 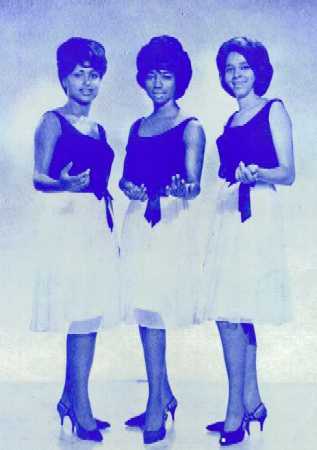 Several other soulful songs from their Roulette Years show all the girls to be in great voice; “Ebb Tide” has all three singing lead, they covered standards like “Mac Arthur Park” and “Stardust”, did a great version of Blue Mink’s hit song “Melting Pot” – and created hits of their own: “I do take you”, “Trade winds”, “You’re the one”, “There’s so much love all around me”, “Sugar on Sunday” and “I turn to you”. An album called “Maybe” came out in 1970 – in Europe there was a follow-up album, titled “So Much Love”, but whether this was released outside Europe is not clear to me. Their complete recordings for Roulette have been collected on CD, and “The Roulette Years” is a must-have for any fan of the group; you get a total of 22 tracks from 1970-72 and it’s a very good documentation of their early 1970’s work. The P.I.R Years 1973-75: When Gamble & Huff set up their label Philadelphia International Records, they wanted the best artists, and being from Philadelphia – the girls were an obvious choice! It also proved to be a very good teaming – as the group reached new heights while on P.I.R – including their first chart topper! Their first P.I.R. album, released in 1973 – a true classic! Another classic hit song followed shortly, “When will I see you again”. The single reached number 2 on the charts, but made it all the way to number 1 in the UK! Their 1973 album included all of the three hit songs (The M.F.S.B. 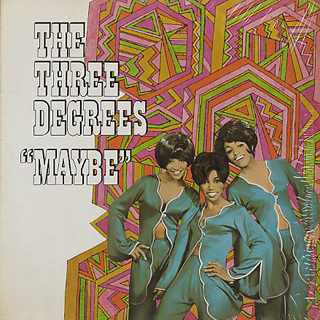 collaboration had to wait until their next album), while two other albums tracks also found their place among the classic Three Degrees numbers; “Can’t you see what you’re doing to me” and “I like being a woman”. Another track that stands apart is the almost 8 minute “If and when” – an epic ballad with some great sound effects! Their follow-up album appeared in 1975. Usually called “International” – it has also been released with the titles “With Love” and “Take Good Care Of Yourself” – but with the same cover photo…. As one of those implies, this album contains their next hit “Take good care of yourself” as well as “T.S.O.P.” You also find some other classic songs on it, “Long Lost Lover” and “Get your love back”. The album also shows the girls as smouldering ballad singers, “Another Heartache” being maybe the best example of their intense slow jamming! Their 1975 album was released with 3 different titles, but they all contain the same great songs! The Epic Years 1976-77: The trio switched labels once more, and in 1976 they signed with Epic Records. At this point being more popular abroad than in the US, Epic eagerly catered to the European and Japanese fans by having the girls record songs in French, Spanish and Japanese. An album called “Toast Of Love” came out in Japan only, but the title track was given a more international promotion. The 1976 album “Toast Of Love” was only released in Japan. It remains a collectors item among fans! To those who never heard the album, or knew of its existence, the tracks on that album are: Sunrise/A toast of love/I wanna say/From souvenirs to souvenirs/The promise/Do it (Use your mind)/Gee Baby (I’m Sorry)/Stop in Nevada/Truth and two titles sung in Japanese. The remake of their first hit, “Gee Baby” did get an inclusion on their next album in 1977, and the single tracks “Toast of love” and “Do It” was added to the list as bonus tracks when that 1977 album finally got a CD release in 2010! 1977 found the girls “Standing Up For Love” – an obscure album that finally put out on CD in 2010, with bonus tracks! 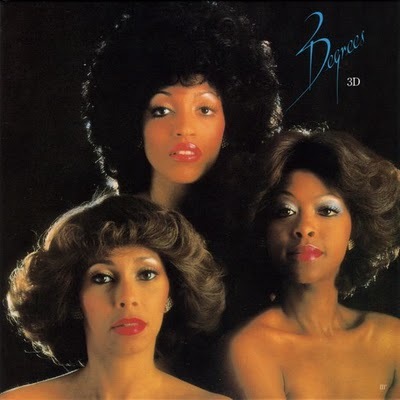 With Helen back in the fold, The Three Degrees changed their line-up, their image, their record company and moved into another musical territory they hadn’t previously explored – disco! The Ariola Years 1978-80: As their popularity in Europe seemed to be ever increasing, they chose to record their next two albums in Europe, and while they were being treated royally by European fans, they even got to mingle with royalty themselves when they performed for Prince Charles of England at a private function held in honor of his 30th birthday! He quickly named them his favourite group – so the Prince and I actually have at least one thing in common! Teaming up with famed disco producer Giorgio Moroder, the girls took to disco music as if born to the genre! Surrounded by synthesizers, drum machines and all the usual trappings – they still came off soulful, and their solos and harmonies proved very effective combined with Moroders brand of arrangements. But of course, he had already proved that disco can indeed by soulful in his work with Donna Summer. The album contained 6 songs, three of them turned into big hits: “Giving up, giving in”, “The Runner” and the ballad “Woman in love”. Also included in the album is the great “Looking for love” which sports a fabulous arrangement and an ultra-soulful delivery by Sheila. 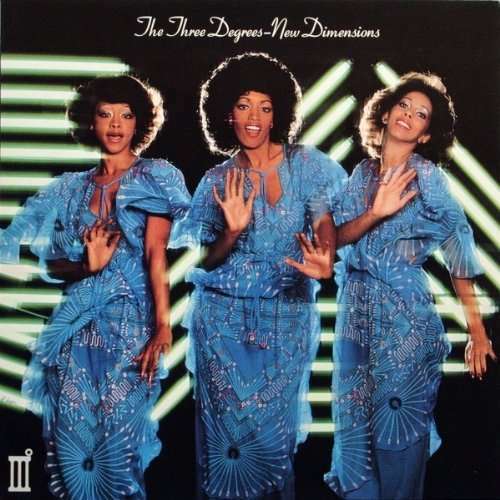 Their first album on Ariola, “New Dimensions” was their first step into disco. 34 years later, the album is still a classic! Every home should have one! When this album was put on to CD in 2010, they included bonus tracks, one of which is the original soundtrack song “The Golden Lady” from the movie of the same name. This is a cheap, European female James Bond spoof, and would never be considered for an Academy Award. The title song is quite good though! Added to it was the 7″ and 12″ mixes of the hit singles and the single B-side “Out of love again”. 3D (1979) found the girls doing more disco, but with a rock edge. It’s one of the best albums of the entire decade, and a Three Degrees landmark! 1979 saw the girls back in the studio with Moroder, and the album “3D” was yet another collection of songs, some of which would make you run for the dance floor, the others would make you want to cuddle on the couch! The beautiful pop-soul confection “My simple heart” is here, so is the hit song “Jump the gun”. On this track Giorrgio Moroder obviously had his fresh triumph, Donna Summer’s “Hot Stuff” in mind, as this too is a disco song with some hard rock guitar work. “Jump the gun” segues directly into “Red light” which is in the same style. Other dance floor fillers are “Set me free” and “Bodycheck”, Added to it are two ballads as well, that show off the softer, more soulful side of the ladies, “Starlight” and “Without you”. When the CD release finally happened in 2010, the bonus tracks were again made up of the different 7″ and 12″ mixes, and another track that had been used as a B-side, “Hot summer night”. Both of their Ariola albums are marvellous, and highly recommended! The Early 1980’s: After two albums on Ariola, The Three Degrees discography seems to get unhinged for a couple of years…. There was an album called “Album Of Love” that came out in 1983 – I have never seen a copy of it anywhere, and googling for a cover picture of it, the results come up zero! Around 1984, a live album – probably recorded in Europe came out, that is to say – it had a limited release in Europe…. By 1985, things were picking up again: The Three Degrees became the first “big name” artist to work with UK’s team Stock, Aitken and Waterman. With Sheila front & centre, they made two singles “The heaven I need”/”Gimme Gimme Gimme” (1985), followed by “This is the house” in 1986. 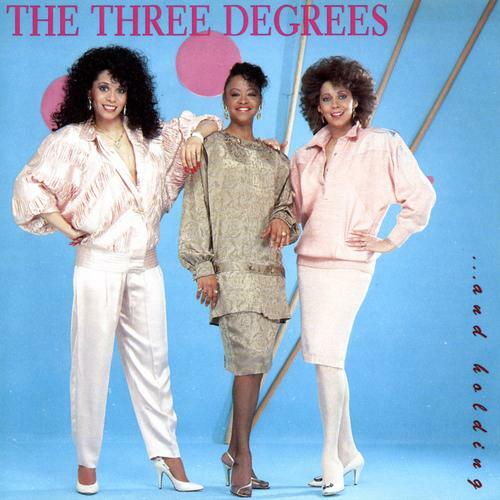 These songs were recorded before Stock/Aitken/Waterman got into the terrible habit of making absolutely every song sound similar, so if you’re not into their 80’s synthpop/disco, The Three Degrees songs will fit your taste well I think. Both singles were popular in a lot of European countries, but didn’t grace the charts in the US at all. 1986 also was the year when Sheila Ferguson decided to leave the group! After 20 years as their main vocalist and leader, she wanted to concentrate on other things…. Sheila has done extremely well in different areas, and working mainly in Europe she’s done musicals, shows, charity functions and a whole lot of other things. She has her own website www.sheilaferguson.com – check it out and stay updated on what this eternally beautiful woman and fabulous artist is currently up to! The last 25 years, 1987 – 2012: With Sheila out of the group, there were some short, temporary replacements of various ladies who appeared as a group member for concerts and shows. One of them was Miquel Brown – herself a disco recording star (and mother of another, Sinitta!). Another short time member was borrowed from another great 70’s disco group; current lead singer of The Ritchie Family, Vera Brown. After her, Rhea Harris quickly came in and exited again, before Victoria Wallace entered the line-up. She stayed long enough to record the next album, “… And holding” (1989). A very synth based record, it’s marred by too much drum machines and too little soul. Still, the opening track “Tie U up” is quite good, and the album does contain a great ballad, “Make it easy on yourself”. With Cynthia, they made their last official, full length album (so far) in 1993. “Out Of The Past, Into The Future” was a fitting title, as they recorded new versions of 5 former hits from the 70’s, and added 7 brand new songs. “Hurry, Hurry” was put out on a single, but the song that should have been a big hit is “I’m thru with him”, an absolutely gorgeous dance track! 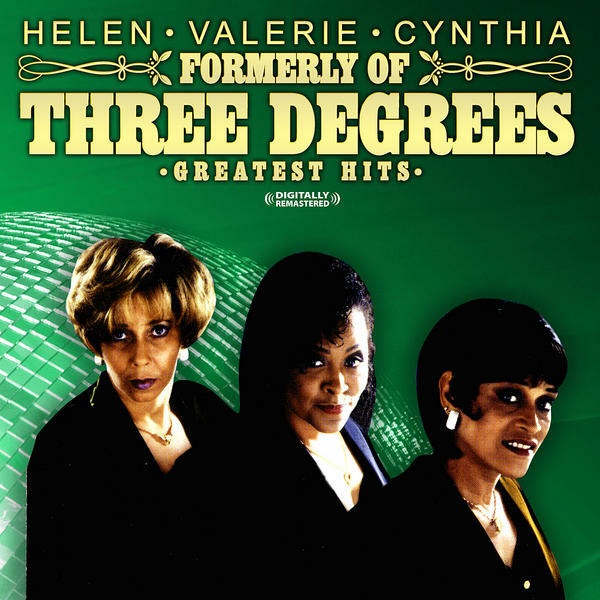 With latest member Cynthia Garrison, The Three Degrees went “Out of the past, into the future” in 1993…. 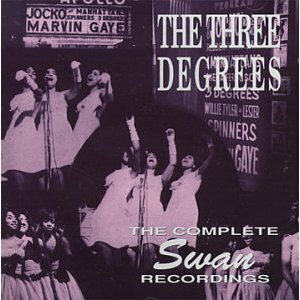 The last 20 years have seen a flood of albums by The Three Degrees, lots of them are budget line “Best Of’s”. 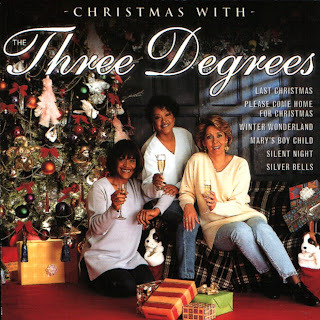 The group made a Christmas album in the late 1990’s, called “Christmas With The Three Degrees”, and it’s a joyful holiday record but not really very original…. 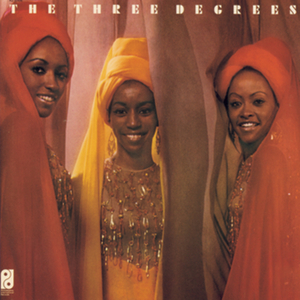 The Three Degrees wish you a very, merry…. There was a remix album also, called “The Greatest Hit Remixes” which is totally awful! The songs have been butchered, rather than mixed, the album must be a bootleg as I seriously doubt that any group member would have allowed this horrible mess to be put on the market! Avoid it at all costs! The next year they made an 8-track album called “Undercover 2009” on which they do cover versions of other artists songs, and then in 2010 the returned to form with a brand new single which is both soulful and made for dancing, called “Holding back”. 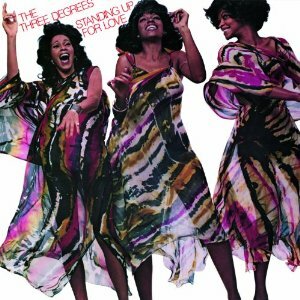 This is the latest record in the musical history of The Three Degrees…..
2010 single “Holding Back” is a return to former glories, and finds The Three Degrees still to be in great form and holding on after more than 45 years in the business! After almost 50 years of singing, this eternally great trio has made an incredible string of great records, and any music lover anywhere in the world will surely tap his foot and sing along with some of their greatest hits as soon as it starts playing! To each and every member of The Three Degrees: I salute you with a toast of love, and thank you from the bottom of my heart for all the great songs you’ve made through the years. Viva las Divas!